As you may have noticed by now, the Democratic primaries are maddening. First, it’s hard to keep track of which primary is when. Then you have closed primaries, open primaries, and caucuses, each with their own arcane rules. And what are “swing states” anyway? Poll results are issued daily, and often wildly contradict each other. And, sadly, only a tiny fraction of Democrats (and some Republicans and Independents) vote in the Democratic primaries. The outcome of this insane process, especially the caucuses, is not always trustworthy. But, in the end, candidates are apportioned delegates according to the percentage of votes they have received, however weirdly (or fraudulently) they are counted—or it’s “winner take all.” Depends on the state. In fact, when you remove elected officials from the superdelegate pool, at least one in seven of the rest are former or current lobbyists registered on the federal and state level, according to lobbying disclosure records. That’s at least 67 lobbyists who will attend the convention as superdelegates. A majority of them have already committed to supporting Hillary Clinton for the nomination. But to be clear, it was never the job of Superdelegates to represent the wishes of the people. Their job is to represent the interests of the Democratic Party. This may seem highly undemocratic, because it is. It was designed to make sure the Party has a viable candidate in the general election. But, the good news is, unlike “elected” delegates, superdelegates are free to vote as they wish, and change their vote as often as they want. Superdelegates currently pledged to Hillary Clinton, are free to change to Bernie Sanders if he seems the best choice to win in November. Superdelegates are focused like a laser beam on the general election and how best to get a Democrat in the White House. Based on past elections, some primaries are meaningless in determining electability in the general election. For example, Hillary Clinton won the South Carolina Democratic primary by a whopping 76% to 24% margin over Bernie Sanders, but South Carolina will most certainly go Republican in November and its Electoral College votes will go to the Republican nominee. So, while exhilarating for Clinton supporters, it’s not a win that holds much meaning for the Party and the superdelegates. On the other hand, Bernie Sanders won 60% of the votes in New Hampshire’s Democratic primary, and Clinton won 38%. Because New Hampshire will be in play this year in the general election, its primary does have weight. 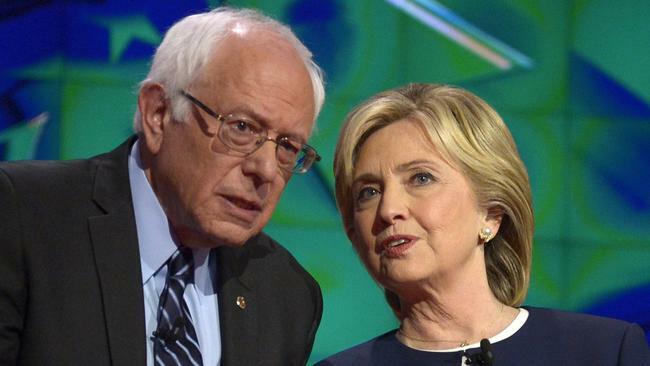 Hillary’s weak showing in New Hampshire is concerning to the superdelegates and the Party. And, in two other important swing-states, Clinton won, but not convincingly. She won Iowa by a hair and just barely won Nevada. In both states there were voting irregularities that suggest Sanders may have actually won. Again, something the Party and the superdelegates will be looking at when they decide whom to nominate. Although they have personal preferences, most, if not all, of the 715 superdelegates will put aside their preference to elect a Democrat in November. A large number of superdelegates hold public office, and a Democratic Administration will empower them, no matter who sits in the Oval Office. The Electoral College tally in November will dominate their thinking. The swing states are Nevada, Colorado, Iowa, Wisconsin, Ohio, Pennsylvania, New Hampshire, Virginia, North Carolina, Florida. Both Bernie and Hillary will concentrate on winning primaries in the states that could go either Republican or Democratic in the November. 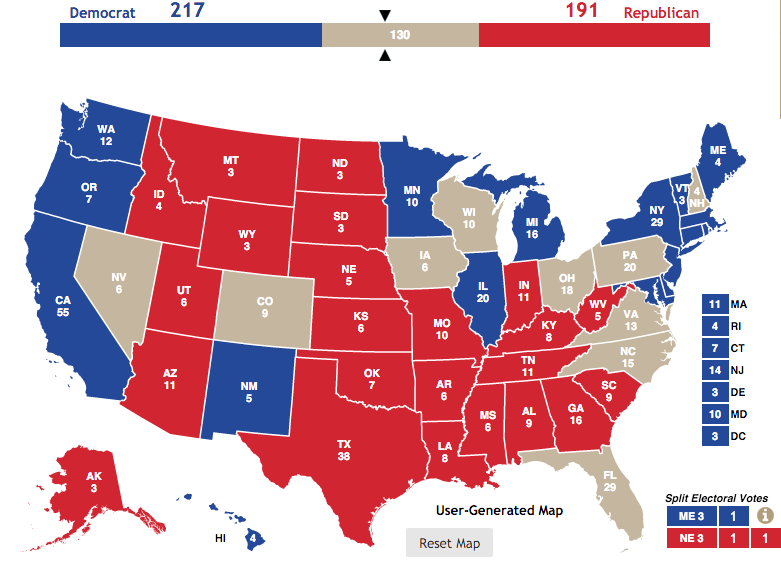 Those states will determine which Party wins in the Electoral College. But this is no ordinary election. If Trump is the nominee, then it’s not clear if states that traditionally vote Republican in the general will do so this year. But, superdelegates only have past experience to go by. So, whoever performs well in the swing-states will earn the Democratic Party’s nomination. The Party Establishment, and many of its superdelegates have already chosen Hillary Clinton. If Bernie decidedly wins the toss-up states, he can make a good case for the superdelegates to switch their votes to him. If he loses, he won’t be able to convince them, and his bid for the nomination and the presidency will end. If there’s no clear winner, then we are on to a brokered convention, and I think that’s where we’re going. Meanwhile, make your own scorecard, keep track, and refer to this Wikipedia page for the dates of the upcoming primaries.